Two days ago (October 10), I wrote an article on a missile attack by the Yemeni Houthis on the USS Mason operating in the Red Sea in international waters. I have included that article in its entirety below. Today, that same destroyer was targeted again from Houthi territory in Yemen. The warship fired defensive missiles in response. The ship was not hit or damaged. This is what happens when the United States does not respond immediately and decisively to attacks on American ships in international waters. If we fail to respond again to this provocation, we can expect them to continue, not only here but in other places as well. If it appears obvious that this Administration will not act to defend its own ships and sailors, other groups - for example, the Iranian IRGC, primary sponsors and supporters of the Houthis - will feel emboldened to also challenge American ships. Memo for the President - At least four lethal missiles have been fired at a U.S. Navy destroyer operating in the Red Sea on your orders. This is a challenge not only to the United States, but to the right of any vessel to operate in international waters. If you do not take immediate and decisive action, this will continue and escalate. If that happens, one of these missiles may hit an American ship, causing casualties and possibly the loss of ship itself. Take action now, before this gets out of control. Houthi attack on USS Mason - an Iranian challenge? The headline from the Red Sea is pretty straight forward - two missiles were fired at a U.S. Navy destroyer while the warship was sailing in international waters off the coast off Yemen. The missiles were fired from a coastal area of the country under the control of the Houthis, a Shi'a rebel group sponsored by Iran. Fortunately, the missiles did not hit their intended target. According to the Navy, the ship did not sustain any damage nor were any of the crew injured, although the missile impacted close enough to the vessel to trigger on board countermeasures. 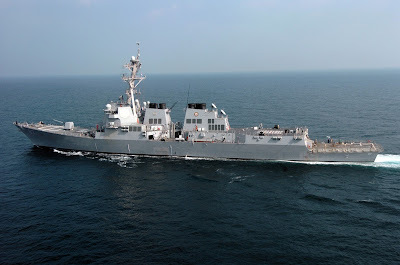 The vessel targeted in the attack was the Arleigh Burke-class guided-missile destroyer USS Mason (DDG-87), traveling in company with another Arleigh Burke-class destroyer, the USS Nitze (DDG-94), and Afloat Forward Staging Base (AFSB) USS Ponce (AFSB(I)-15). The three ships were ordered to the Red Sea near the strategic Bab al-Mandab strait in the wake of a Houthi missile attack on the United Arab Emirates logistic vessel HSV Swift on October 1 in this same area. The Swift was not so lucky - it was struck by a missile and caught fire. 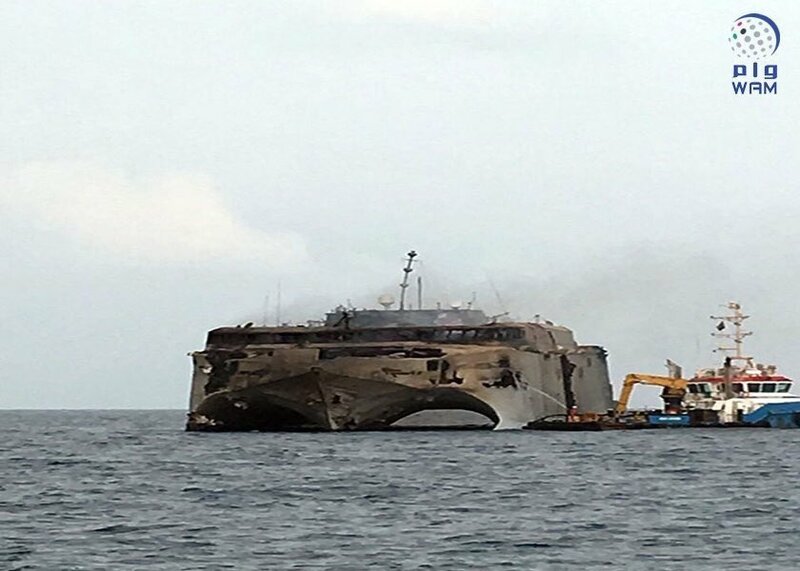 The vessel was formerly under charter to the U.S. Navy, but was sold to the UAE National Marine Dredging Company and was operating under charter to transport humanitarian aid to Yemen and evacuate wounded civilians from the country. The missiles used in both attacks are believed to be either a Chinese-built C-802 anti-ship missiles (NATO: CSS-N-8 Saccade) or an Iranian reverse-engineered copy called the Noor. While not technologically advanced, the missiles' simple design is easy to maintain, easy to operate, and can be very effective. As I said, what happened is fairly straight forward, but why would the Houthis open fire on a U.S. Navy warship? This is an obvious challenge to any member of the Saudi-led coalition currently conducting airstrikes on Houthi targets in Yemen. The Houthis have warned these nations to avoid Yemeni waters. The United States is a member of the coalition, providing intelligence, logistics and aerial refueling. The Houthis may not have been aware of the nationality of the warship, although it would be patently irresponsible to launch a missile at a ship ostensibly in international waters without positive identification. It may go further - this may be an indirect challenge to the U.S. Navy by the Iranians, the primary supporters of the Houthis. The Iranian advisers working with the Houthis are members of the Islamic Revolutionary Guards Corps (IRGC), which views the American Fifth Fleet as its primary adversary in the region. Over the past few months, there have been numerous provocations in the Persian Gulf by IRGC crews in armed fast boats harassing U.S. Navy warships. Coincidentally, at least one of these incidents involved the USS Nitze and the USS Mason. The attack also occurred the day after Saudi aircraft bombed a funeral in Sana, killing more than 100. The Houthis may have been seeking retaliation for what they believe was a deliberate attack. The IRGC issued a statement that the rebel group would avenge the bombing, calling it "a U.S., Saudi, Israeli joint conspiracy." The question now - how does the United States react to what many believe constitutes an act of war? The Administration must react decisively. 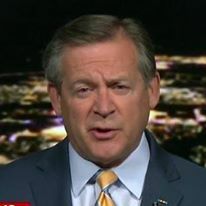 Not doing so will only embolden the Houthis to continue to fire on American warships in the Red Sea, and embolden the Iranians to continue their escalating provocations in the Persian Gulf. The Iranians have already assessed this Administration as unwilling to challenge Tehran. Failing to act will only validate that assessment. The reaction needs to be stronger than a diplomatic protest from Secretary of State John Kerry - he is already regarded as weak by the Iranians. This reaction needs to come via the Department of Defense. Erdoğan and Mosul - symptom of a larger problem?